Kaleme: Alireza Roshan, a reporter with Sharq Newspaper and an activist for the rights of Dervishes, began his one-year prison term at Evin Prison on November 18, 2012, according to Kaleme Website. 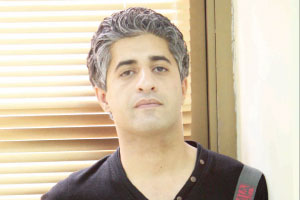 Alireza Roshan was arrested on September 7, 2011, following a violent confrontation between plainclothes forces and Gonabadi Dervishes in Kavar town of Fars Province in which shots were fired, the directors of Majzooban-e Noor, a website that reported on the group’s news, were arrested. Roshan spent more than a month in solitary confinement inside the Intelligence Ministry's Ward 209 at Evin Prison, before he was released, according to the International Campaign for Human Rights in Iran. Branch 26 of Tehran Revolutionary Court under Judge Pirabbasi sentenced Alireza Roshan to one year in prison and four more years' suspended prison for his cooperation with the Majzooban-e Noor website on charges of "assembly and collusion with the intent to disrupt national security" (Article 610 of Islamic Penal Code). Branch 54 of Tehran Appeals Court, under Judge Movahedi, upheld the sentence in full on 15 October 2012. Regime change is the only way to end 34 years of barbarity by the Messianic Islamist Rapists, “reformers” and all.